The second book in the Grand Tour Series covers the Kensington and Morgan clan touring through Austria, France, and Italy. Thinking they have left their would be kidnappers behind them, they continue with caution to Pierre's sister and brother in law's place, an updated fortress. When there, they add another friend to their entourage and trust Art with all the details of their trip. But, is Art as he seems? I thought that this did a wonderful job of making one feel like they are traveling in Europe on a Grand Tour, while keeping it interesting. There is plenty of great facts, but also beautiful descriptions of what it must of been like to travel on a Grand Tour in the Edwardian age. I'm afraid that I am a sucker for pretty covered historical fiction. ;) Hence, why I picked this one up! Amelia Barrett is to be the sole owner of Winterwood on her 24th birthday, giving she is married by that magical age. Her uncle and aunt have found her a "suitable" spouse in Edward, but Amelia doubts the goodness of her fiance's heart when he refuses to allow her to fulfill a promise to her dead friend to take care of Kathrine's daughter. When the baby's father returns home from sea with a bag full of regrets, Amelia decides the only way to save both the baby and her inheritance is to propose to Graham. I thought this was going to be another one of those "marriage of convenience that magically turns to love after the vows are said" books. It wasn't quite, which I appreciated. It had a decent message about God, but I wasn't to impressed with the character development. I also was rather disgusted with Amelia's cousin, but I won't spoil that. I would only give this one three out of five stars. Received from Netgalley for my honest review. When Lady Elin von Snakenborg has nothing to lose when she leaves behind Sweden with her Princess Cecelia to travel to Elizabethan England to meet the famed Queen Elizabeth 1. 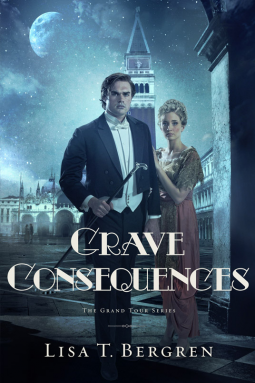 Leaving behind a fiance who prefers her younger sister and with no dowry, Elin figures she might as well stay in England when she catches the eye of one of the most wealthy men in Great Britain and asked to stay on as a lady in waiting to the Queen. But the English court is one full of deception and intrigue, leaving Elin to figure out on her own how far she will go to serve the Virgin Queen. While this novel is a bit dry, I appreciated the right historical aspects of it. Sandra Byrd's Tutor series is the only fictional Tudor style books I will read, since I can count on her to not have PG 13 rated language and content. It does talk a bit about what married life is like for Elin with being in the court, but I appreciate the tact that she uses when writing about it. Kariss Walker is back, in another suspense filled story! When Dr. Amy Garrett contacts Kariss to write a novel using the facts behind an attack when Amy was a child, Kariss decides that helping other women find healing through this novel is just what God is calling her to do. But, the 23 year old cold case is lacking an ending. Meanwhile, Tigo is doing a favor for his boss by working on solving a case involving a car bomb that took the life of a woman and her daughter. Could the two be linked? While I haven't read the first book in this series, it was easy to pick up and jump right in to the story! The characters are well thought out, and I can imagine that Tigo's spiritual journey is a very real one, since it would be hard to come to grips with a loving God when you work with a lot of evil in the world. I will warn you though, this novel is hard to put down once you get into it! 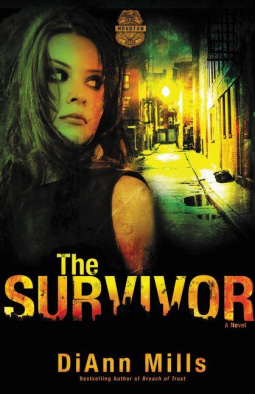 At 15, Ellie Tucker's world is ripped apart when tragedy strikes her family, causing her dad to immediately uproot her and move them from Savannah to San Diego. The eve of their big move, Ellie and her childhood friend, Nolan, write letters to each other and bury them in "their park", promising to return to open the letters in 11 years. So, even if thy wind up being separated through high school and college, they would have an opportunity to meet up again and find out how the other feels about their friendship. 11 years later, Nolan is living the life he had planned at 15, while Ellie's is very different from what she expected. Unable to forget the other, they both look forward to returning to open the others letter. I thought this was a beautiful story of answered prayers and second chances. The characters were lovely and realistic, dealing with the emotions that I can imagine would come with being separated from your best friend for 11 years. Another big bonus is the message of forgiveness, even when those we love hurt us. 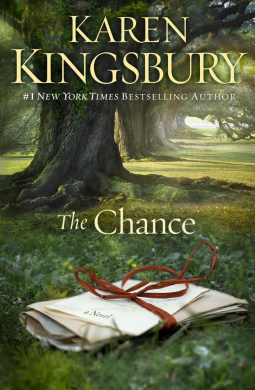 Another winner by Karen Kingsbury! I had to pick this book up, since it has such a gorgeous cover. ;) And, I have read a couple of MaryLu Tyndall's other books and found them to be rich with character details and historical tidbits. Forsaken Dreams is the story of a group (namely Southerners) of people who band together after the Civil War to form a new community in Brazil. This book details their trip by ship to reach the New South. At the center of the story is Eliza Crawford, a young widow who has nothing to lose and everything to gain. Having married a Northerner before the war, she is ostracized by both her family and her in-laws. Having earned her keep after her husbands death by working as a nurse on the battlefield, she plans to apply her nursing skills in Brazil. Just when Eliza feels she has a chance at love, her past is thrown back in her face and she must figure out where the Lord would have her. I understand that people react differently after being through a tragedy/war, but I thought that this story was a bit over done for people to treat Eliza so horribly when 1) she married before the war and 2) she worked on the Confederate battle field as a nurse. I did like the details about what a voyage to Brazil would be like in those days. I didn't realize so many American's moved out of the states after the war to form new colonies. I also liked that MaryLu Tyndall has solid secondary characters, who have a story of their own to tell, since it breaths more life into the tale. I love the idea of discovering new books next month! When Susanna Truitt's boyfriend of 12 years drops the bomb that he "found the right ring but not the right girl", Susanna realizes she has been living her life by "the plan" and holding to stability over what God would have to her. Everything in her life seems to turn upside down from that moment on, leading her to put her faith in God and His plan. I loved the prayer that Susanna prays when she decides that she is at a point her life where she is 100% available for God and His ways. It was a wonderful example of how I should be that way even when things are smooth and going my way. The story line is a bit predictable, a cross between Princess Diaries and The Prince and Me (though much sweeter than the latter), but still a fun, light read. This is the perfect novel for any girl who has ever dreamed of fairy tales and princes. As a somewaht companion to The Love Dare (made famous by the movie Fireproof), The Respect Dare focuses more on the role of a wife, and how much she can bless her husband by respecting him in their marriage (though, of course both spouses will benefit from both loving and respecting the other). Set up as a 40 day challenge, there is an accompanying scripture verse and story to go with the dare for the day. Set up in a relaxed format, this book is perfect for lone study or to go through as a group. The dare's are specific, and yet I like that the author addresses that not all couples are the same and have the same struggles. The questions that she asks with the dares are thought provoking and insightful. Based on Nina Roesner's experience with countless woman through her Daughters of Sarah program, this book is a wonderful addition to any married woman's book collection! Welcome to Franklin, Tennessee, where Scarlett Jo Newberry takes her role as a pastors wife seriously. Flamboyant, gregarious, and colorful, Scarlett Jo can spot a hurting soul a mile away and seeks to reach out a helping hand to those who's hearts are hurting. When Grace Shepherd moves to the area, Scarlett Jo instantly senses a hurting soul and seeks to reach out to her with the love of God. 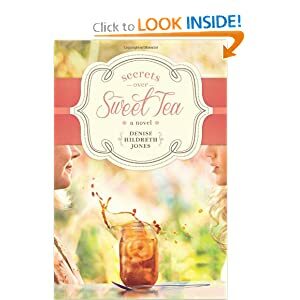 When secrets explode about several different couples in the community, Scarlett Jo and her husband are there to help put the families back together, showing what God can do with a broken heart if He gets all the pieces. This book is gritty and heartbreaking, but there is also a beautiful message of hope and joy in the Lord that I loved. The characters are all hurting people who are working their way back to the Father who loves them. I don't know that this is my most favorite book of the month, but I did appreciate the way Denise Hildreth Jones emphasizes living joyously, with a heart open to God even through heartbreak. That living with an open heart is a daily journey. Lauren Phillips embarks on a journey through uncharted territory when her brother brings her a computer to liven life up after a painful breakup. Introduced to the world wide web, Lauren becomes pen-pals with another God-lover, known as KC, and begins to open up a bit. When the opportunity presents itself, after more than a year of writing, to meet up, Lauren is both excited and apprehensive about meeting someone she met online. Could their be something to the old fashioned way of getting to know one another through letters? One of the things I most appreciated about this book is that Lauren is given time to recover from her painful breakup. When she thinks she is ready to moving on by dating again, her friend cautions her about rebound relationships, which I thought was sound advise. 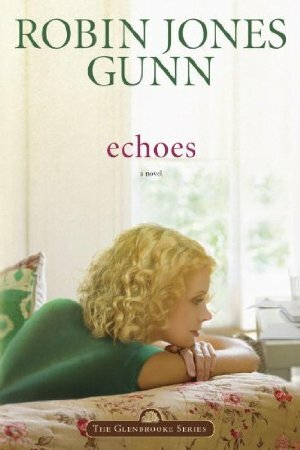 Over the years, I have read a fair bit of Robin Jones Gunn's books. I appreciate her characters, story lines, and her quest for providing Godly fiction for teen girls (which I think is a market more Christian authors should target) and women alike. I enjoyed Echoes because it was a good, wholesome story for all ages.